Every student has a different way of learning. 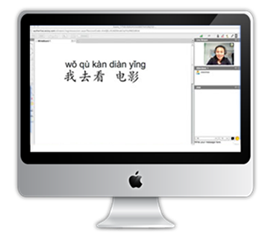 At AllMandarin, we customize our online Chinese courses to meet the needs of each student to ensure that they reach their highest learning potential. You will learn to communicate confidently, effectively, and fluently through taking our Chinese courses. As you go through your studies, you may focus on a certain area of Mandarin Chinese to increase your knowledge in the most useful way. We will customize your learning material to best suit your learning goals and needs. If you couldn’t find the most suitable Chinese courses above, no worries, just tell us your specific request, and we will specially customize the lessons for you. I was introduced to Allmandarin by my collegue Nina. Our company was in Hong Kong. Due to bussiness and survival needs, mandarin Chinese is necessary for me. I got a free trial and then tried to book 5 calsses package. It was really great and the teacher was quite professional and nice. I feel so good with Allmandarin’s online Chinese courses. Untill now, I`ve learned 2 years with it. I consider Allmandarin a great experience! If you want to study Chinese with flexible schedule, I recommend AllMandarin’s online Chinese courses! The school has been very well run and helpful to me as a student. I really enjoy the service, having an online connection with a native Chinese speaker is a great way to learn. It is an excellent value, private lessons, convenient, inexpensive and fun. Even I`m in China now, I barely have enough chances to practice my Chinese. My Chinese colleages and friends always speak English to me.They want to improve their oral English. I`m so embarrassed. For me, taking on-line Chinese classes suits me very well as I`m not available to match the local schools` class schedule. I loved to learn Chinese courses online while I have a break.Quite convenient!